The skit features Kit Harrington from Game Of Thrones as a member of a group of survivors in the zombie apocalypse VR game EARTHWAR 3. The skit starts off a little slow, including a bad Mario joke. 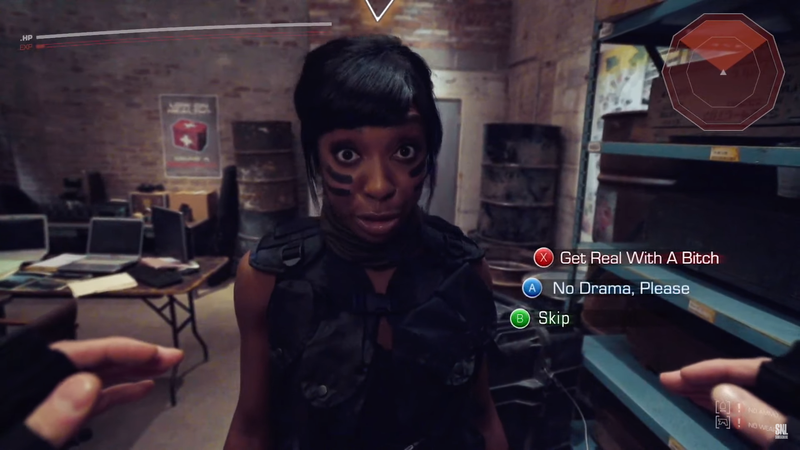 But eventually, as the skit KEEPS pushing the two talkative survivors in the player’s face I was laughing. The dialogue choices were a nice touch. I wish more games had a “No Drama, Please” button.